the key in the slot, the alarm will be triggered immediately. Press the button and fold in the key. windows and the sun roof automatically. side the vehicle if it has been locked from the outside. tailgate will spring open slightly. Press the close button inside the open tailgate. have the remote control key on your person. one of the other doors is unlocked. this will also close the windows and the sun roof. Audi is a well-known brand selling different stuff like automotive. We have 18 great reference books related to this manufacturer . 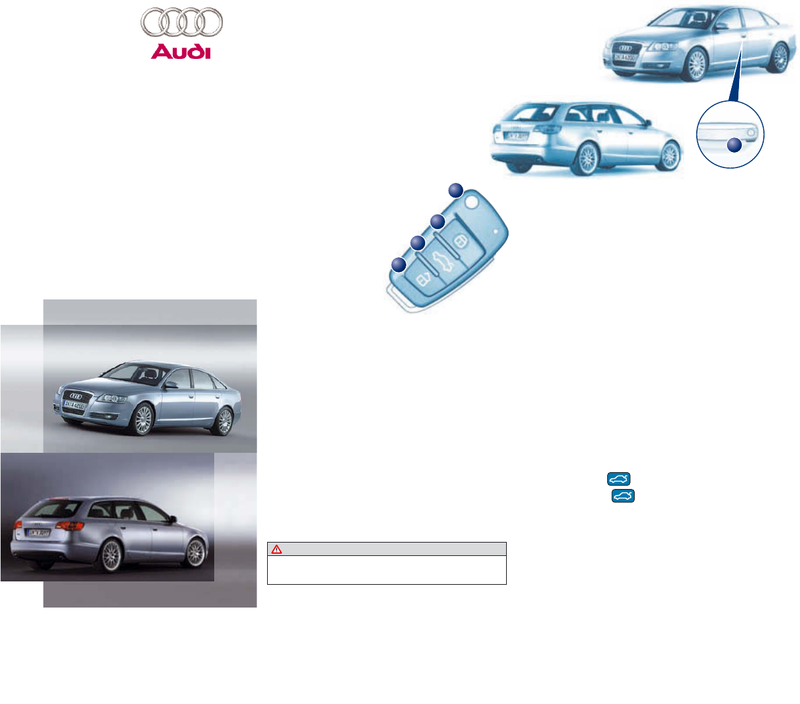 Now you're reading a user guide for Audi Automobile A6.